Taylor was such a talented soul to work with! The pictures she took of our wedding were stunning! The moments she was able to capture were so precious, and it was amazing that she captured them so vividly. She had her second child and only a month or so later, she had my photos ready. Which I thought was amazing because I know having a new baby and family to take care of is always busy! We absolutely loved having Taylor as our wedding photographer. Taylor was professional and from the start, it was obvious that she was not new to the wedding business. She was flexible to accommodate our wedding day schedule and desires and a joy to work with. She kept pace with taking pictures without overpowering the natural flow of our desire to have a relaxing wedding day. Our indoor wedding was in the bleak of dreary winter, and yet she made our pictures look absolutely lovely, capturing moments both inside and outdoors. We were absolutely blown away with her creativity and ability to capture such beautiful moments of our day. We feel our pictures have a timeless, elegant look--exactly what we were hoping for. We can not say enough good things about our experience with Taylor as our wedding photographer! She made our special day go so smoothly, making sure every shot was captured, we were within our timeline, and made sure every detail was perfect! She was much more than just a great photographer that day, she became a special friend to us and we are very grateful for our experience with Taylor. Our pictures brought us tears to our eyes, and truly made us relive our day all over again. To say we were very pleased is an understatement. Working with Taylor was a great experience! Going into wedding planning, we had no idea what to expect. Taylor not only helped us plan out photo sessions for our wedding, but also had some helpful tips on getting through our wedding day smoothly. She truly helped us to enjoy our big day without a hitch. She is so sweet and has the best eye for the perfect backgrounds and pictures. We had tons of fun taking our wedding pictures (threw a pool party) and the end results were MAGIC. Don’t hesitate to take advantage of this woman’s pure talent and you will definitely get more than you bargained for!! Taylor is not just an amazing photographer but a phenomenal person. We originally chose Taylor not just for her pictures but because we felt like she was a person that had similar values as ours. She just genuinely cares about others and is so easy to work with! Marcus and I were married in downtown Asheville, NC this May. 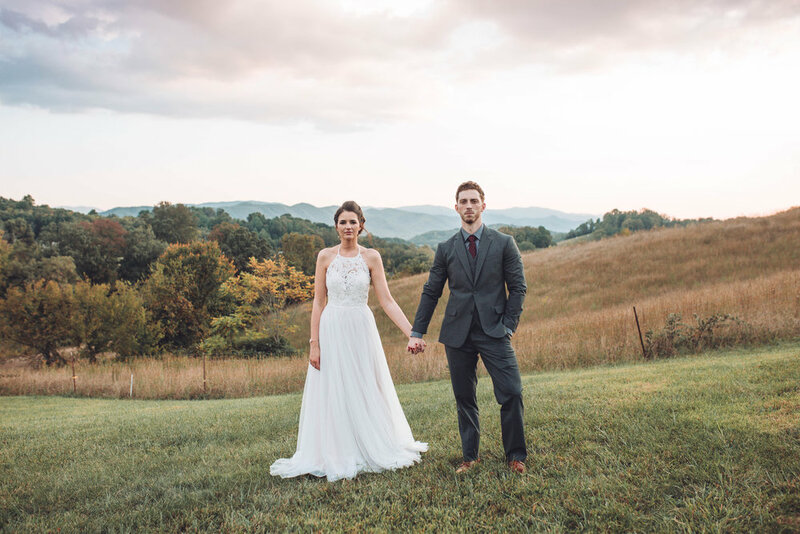 We worked with Taylor from our home in Nashville to coordinate everything. Taylor happily worked with us and accommodated our hectic schedules. The day of our wedding could not have been more perfect. Taylor drove in from Kingsport to Asheville and arrived early! She immediately starting photographing our day when she walked in the door. She graciously took the groomsmen flowers and other items to the church and made sure the guys were ready on time! We changed venues between the wedding and the reception and Taylor seamlessly transitioned with us! I felt like she was a part of our day. She made sure that she blended in with everyone and captured all the special moments. She also took the time to pray with Marcus and I and make sure that he and I had time together to take in the day. You could not expect more timely and quality work than that which Taylor provides. She had a wedding preview available by the time our flight had landed for our honeymoon with the most beautiful pictures I could have imagined. All of our wedding photos were available 6 weeks after our wedding. Taylor delivered them in a beautiful box that now is part of our home decor. There were over 1100 edited photos! Looking through those photos is like a video of our day. Taylor managed to capture everything. She captured moments that we didn't even know she was there for. Taylor, you have a talent that is undeniable and a love for it that shines through in your work! Taylor is not only extremely talented, she is very organized! I basically depended on her photography timeline for my wedding! I am more of a “go with flow” type of person so I really needed the expertise and organization Taylor offered! She really guided me through the wedding day and was so helpful. And of course, our wedding photos turned out absolutely perfect! My husband and I love them and will cherish them forever. There is a reason people call her the energizer bunny because not only is she adorable, she never rests. Taylor Meo's photography is absolutely amazing. Our engagement photos were outstanding, and our wedding pictures flawless. In addition to her beautiful pictures, she's great to work with. She's kind, friendly, fun, and, now, a friend. Holy cow, the best photographer I have ever known!!!! Her eye for such beautiful detail is beyond belief! We will use her for every single photography need the rest of our lives!!!! I am in love with our engagement and wedding photos, and I cannot begin to tell you how many people have messaged me I've never talk to to tell me how beautiful they are! She is a blessing to our life and I love her soo so much! She pulled Chris and i aside before our wedding and prayed with us, she had us ahead of schedule the entire day and made it so effortless and stress free! Our entire wedding experience from our engagement photos, my bridal portraits, the wedding day preparations, our ceremony and reception were blessed, and Taylor was a part of that blessing. She captured the essence of each occasion beautifully. While I loved our posed portraits, I was blown away by the candid photos Taylor shot. She captured moments from countless aspects of our wedding day that we will forever cherish. The images of raw emotion, adoration, excitement, and reverence are irreplaceable. Each time I look at my wedding photos I feel as if I am reliving the day. Not only did we receive awesome images, but I feel as if we made an amazing personal connection with Taylor and her husband as well. Taylor Elizabeth Meo --thank you. I want to cry as I type this because you have such a gift that you shared with me and my husband. Thank you for always taking the time to sit with me and listen to what I really wanted. You were patient with my franticness, and you treated me as a friend and not a client. I love your passion behind what you do, and you make couples so at ease. You got the exact pictures I requested for our special day all because of your graciousness and understanding. I'm truly so thankful you were the vessel behind providing me with my number 1 about the wedding event! Tom and I received our wedding photo box tonight... Wow. We laughed, and we cried, but mostly we grinned just as big as we did on our beautiful day. Taylor is seriously the most awesome photographer I have ever had the pleasure of working with. She photographed my daughter's engagement and weddings. There is an art to her photography and I am honestly in awe of her work. She is one of the nicest people you will meet and her photos are just breathtaking! It's not just a picture, it's an art. She captures such beauty and emotion in her work. She is most definitely blessed by God with this gift.